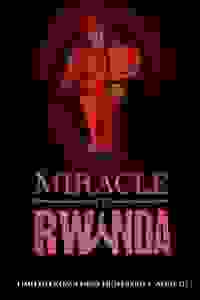 In April 1994 in Rwanda, an extremist militia of Hutu tribesmen began a brutal, widespread effort to exterminate all members of the Tutsi minority tribe. A Catholic young woman named Immaculee went into hiding, armed only with the rosary her father gave her. While marauders searched for her, she made a decision to pray using the beads her father gave her, transforming her heart and mind, so that in the midst of this holocaust, she found the core divinity within her, the place that no killer can eradicate. The message is one of personal empowerment, of overcoming all obstacles through the power of faith, and ultimately finding peace of mind amidst unbelievable hardship. Often called “our generation’s Anne Frank”—yet one who thankfully survived—the true miracle of Immaculée’s story is her ability to forgive. See it if emotionally gripping, resonant, realistic biographical drama artfully crafted and performed for 70 min. enthralls, regardless of your faith. Don't see it if you cannot sit through 70 intense mins in small theatre, no set, one woman performance of Rowanda Tutsi 1994 Diary of Anne Frank story. See it if Strong story with riveting Malaika Uwamahoro which should receive awards! Don't see it if Genocide is a difficult topic to view. See it if You want to be enthralled from beginning to end by one actor playing multiple roles in telling an astonishing story. See it if you’d like to see a story of one’s survival and forgiveness through faith. Don't see it if you don’t like one woman show or don’t want to hear of the genocide in Rwanda. See it if you like to see how to forgive people who did the worst possible: killing members of one's family; and how to have hope in most dire times. Don't see it if genocide is too terrible a subject for you to think about in your free time. See it if You want to hear a very relevant and moving story of survival and triumph. Don't see it if You think theatre is only for entertainment. See it if Riveting depiction of the Horrors in Rwanda by one woman in a 70 minute play. Very intense and a story that needs to be told. Don't see it if You prefer more upbeat and not to serious plays or subject matters. See it if you would like to learn about one person's journey to forgiveness during the darkness of the genocide of the Tutsis in Rwanda. Don't see it if you are not interested in understanding someone's capacity to forgive perpetrators of genocide. See it if you are interested in the Tutsi genocide from 1994. Felt very similar to Anne Frank. Don't see it if you don't like one woman playing a myriad of roles. See it if How does one truly survive great trauma? With faith and forgiveness. Mini history lesson on Rwanda genocide. Don't see it if Genocide, faith/Christianity, or one person shows are not your thing. Also Ticket from Show Score for $5. See it if Girl's religious faith & love guides her through survival ordeal and enables her to forgive afterwards. Well acted. Uplifting. Don't see it if You want more historical details and breadth. You want more drama. A test of patience & fortitude, w/many blackouts used to mark time. Don't see it if If you do like one-woman shows were the actor plays many characters or a personal approach to history.